A fashionable two tone tote bag that's great for the planet and your wallet! A premium look tote bag at an affordable price! 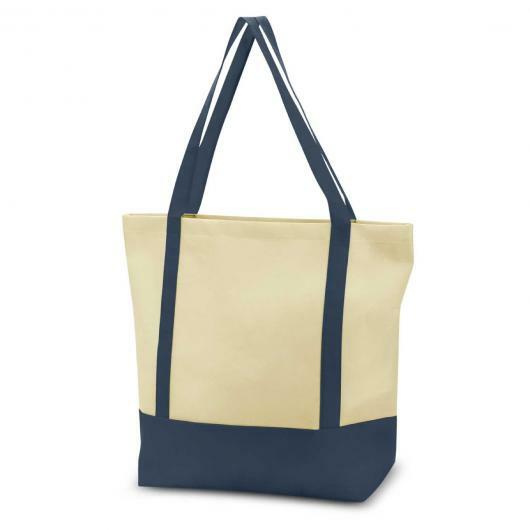 These two tone totes have a fashionable natural look with externally sewn carry handles for added strength. They can easily be carried on the shoulder or in the hand and feature a large gusset for added space and support. 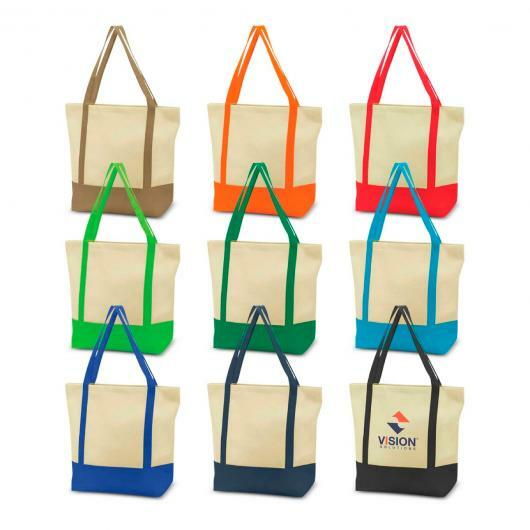 The Tirano can also be recycled at the end of their useful life and is made from 80gsm Eco-friendly non woven material! Perfect for groceries and more.